Tooth-colored porcelain crowns restore teeth without detracting from the appearance of your smile. These dental crowns enhance your smile while also providing optimal function and strength. Whether you have a weak tooth that needs protection or want to replace an old metal restoration, all-porcelain crowns can be an effective, aesthetically pleasing option. To schedule an appointment with our cosmetic dentists in New York City, please call NYC Smile Design at 212-452-3344. Other dentistry restorations may also be an option, depending on the exact issue you are facing. Inlays, onlays and dental fillings are a few other restorations commonly used to treat damaged, decayed or weakened teeth. Our dentists are experienced in biomimetic dentistry techniques, which means they know how to restore teeth in a way that returns the tooth to an appearance, function and strength that mimics natural tooth properties. 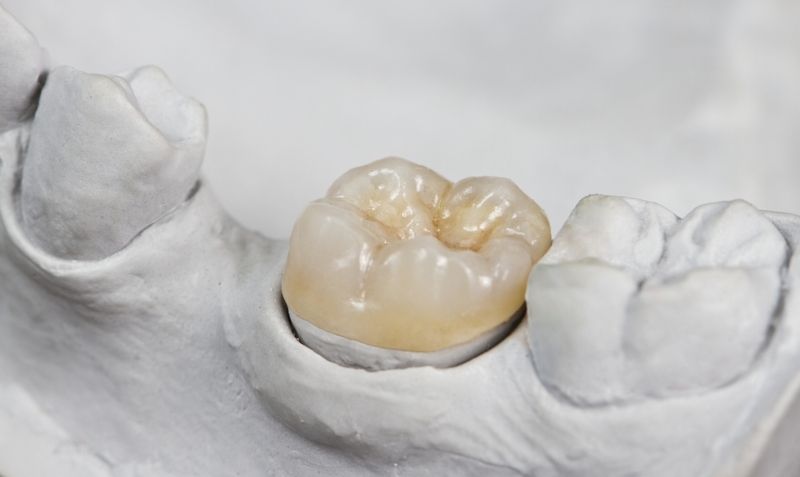 Another common type of crown is made of porcelain fused to a metal base. While that type of crown is quite durable, it tends to cause the tooth to have a grey or silver tint. Also, a thin line of metal can become visible along your gum line, especially if your gums begin to recede. These problems are avoided when an all-porcelain crown is used. If you are interested in New York City and Manhattan porcelain crowns at NYC Smile Design, please call our helpful team at 212-452-3344. We serve NYC and all of the surrounding areas in New York.